Born and raised in Templeton, CA, Barbara left her small-town home in 1963 and relocated with her late husband, Bob, in San Jose where Bob worked as a stockbroker. 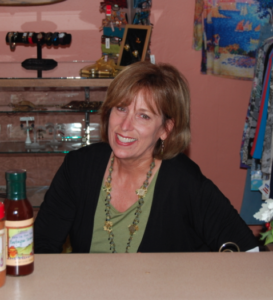 Business opportunities brought them back to Paso Robles in the early 1970s, and, after seeing a need and a market for a fashion boutique that catered to the tastes of the San Luis Obispo area, Barbara opened The Blenders in Paso Robles in 1974. 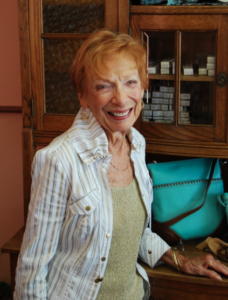 The store’s expert on community happenings and behind the scenes operations, Barbara has a constant drive to involve herself, and the store, in Paso Robles’ downtown scene. The Blenders continues to be an active member of the community by hosting fashion shows, supporting other local businesses by carrying products such as Cahoots’ cookbooks and dry rubs, and engaging in many of Paso’s downtown events. Barbara has enjoyed the ride that The Blenders has taken her on for the past 39 years and is looking forward to many more. Daughter of Barbara, Lori may have been destined for a life in the fashion industry. After spending 25 years running her own business in wholesale apparel, she moved back to Paso Robles and partnered with her mother at The Blenders. Lori enjoys the creativity and flexibility of the job, especially when working with clients to produce a look that works for the individual. She loves that her work allows her to build relationships daily with the women of Paso Robles and San Luis Obispo county. When not at the store updating displays and doing makeovers, Lori can be found gardening, enjoying time well spent with her husband and daughter, or taking in the beauty of the Central Coast.